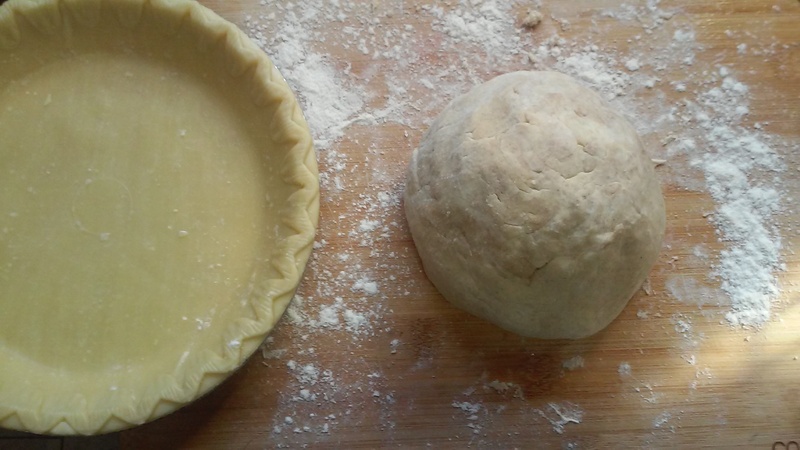 Simple Homemade Pie Crust – Appetite Deluxe! Since Thanksgiving is around the corner and many households will be smelling of sweet desserts, especially pie, I thought I would share this quick recipe for a nice pie crust. Sometimes it’s just easy and convenient to go to your local grocery store and just buy the pie crust, however making your own is so much better (and did I mention it’s super easy)! Take your food processor (in my case I used my Ninja Blender) and pour in the flour, salt, cinnamon and sugar. Pulse/blend for a few seconds. Add the 12 tablespoons of COLD butter & the vegetable shortening to the mixture and blend/pulse some more. Lastly add the ice cold water and blend until the mixture forms a dough. Wrap your dough in saran wrap and refrigerate for up to half an hour to overnight. 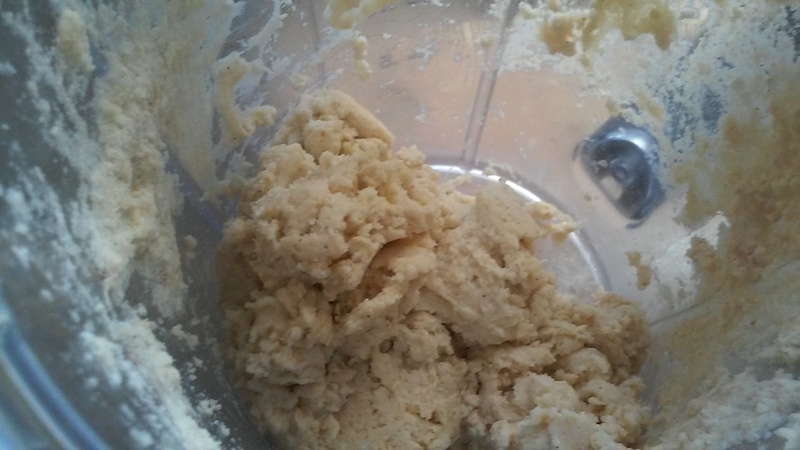 When you are ready to use your pie dough just take out the fridge and transfer to a floured surface and began to roll out with your rolling pin. Super simple right? Below is a video for a few pie crust designs simply using a fork, spoon and your fingers. Or you can do something a bit fancy (but still easy) like how I did a braided pie crust a few years back. Once your dough has chilled for a bit take out the fridge and start to roll out crust on a floured surface using your rolling pin. I used a pizza cutter to cut thin slices out the dough (about 1/2 inch thick). Now take 3 thin slices of your dough and start to overlap them with each other to make a long braided crust. 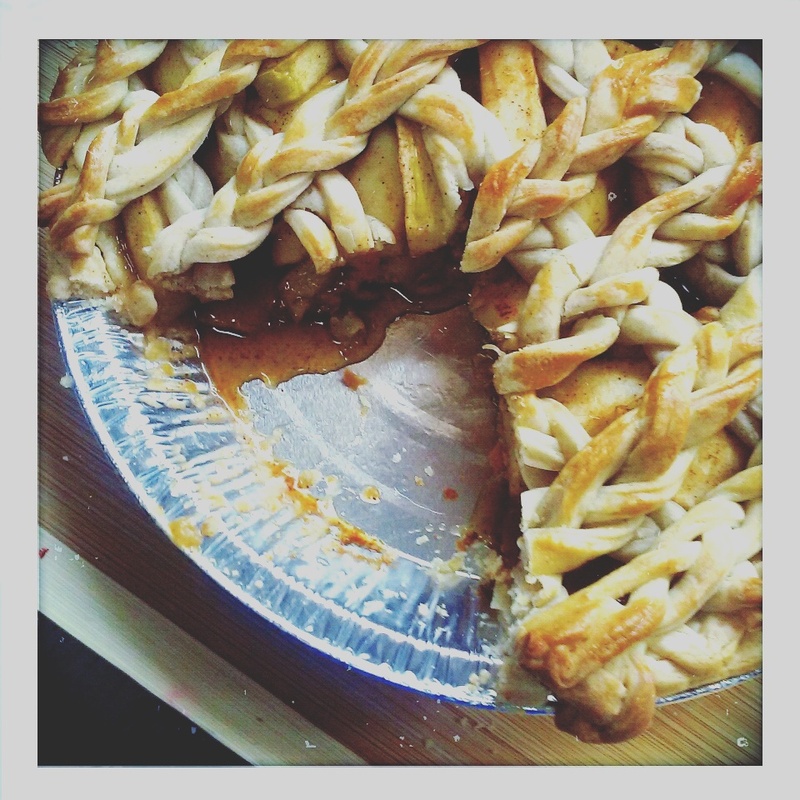 I placed each of the braided crusts on top of the apple fillings of each pie in a lattice pattern. Trim your edges and then brush your dough in an egg wash (I like to sprinkle cinnamon and cardamom on the crust before I do the egg wash) and put in the oven. When your pie is done take out the oven let it cool and then devour it! Pingback: Apple Crumble Pie – Appetite Deluxe!